How A Pressure Tank works inside a Pump System? When the tap shuts, then the water stops flowing and the pressure in the system builds. When the pressure reaches the “off” setting of the switch or controller, then this turns the pump off and the pipes remain pressurized. Aquasky's Pressure Tank is certified by NSF International. Aquasky has been member with NSF since 1998. 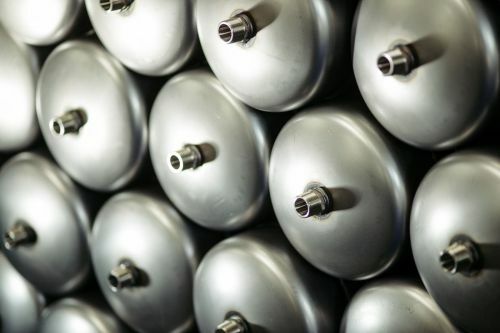 Every pressure tank we build are qualified by NSF drinking water standard and structure safety (NSF 58 and NSF 61). With NSF standard, Aquasky pressure is lead free, Nitrosamine free and Plasticizer free. 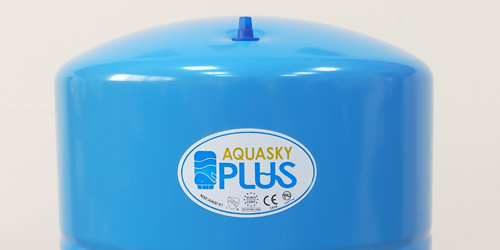 About safety, Aquasky pressure tank is built to contain 3 times maximum working pressure to insure the user safety. Aquasky sucessful passed NSF 5 year Structure Test. 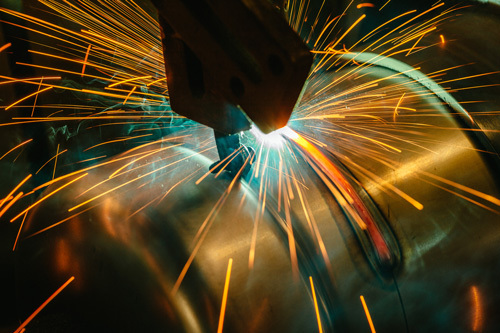 Aquasky is the world leader of pressure tank safety. How to Set a Correct Air Pressure inside Your Pressure Tank? 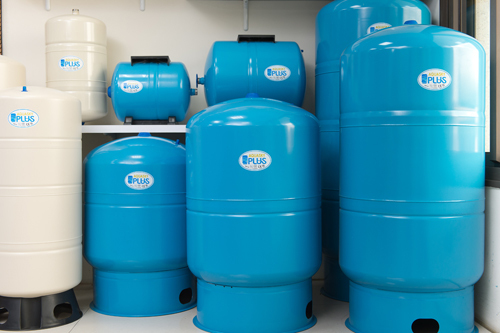 Every standard Aquasky PUMPLUS pressure tank has a standard setting pressure of 30 PSI / 2 Bar. The installer has to adjust the base on the system of cut-in pressure. The Air pressure inside the pressure tank has to be 5 % lower than the water pump cut-in pressure. For example, the water pump cut-in pressure is 40 PSI and the pressure tank air pressure has to increase from 30 PSI to 38 PSI. How to select Pressure Tank Size? There are three most important devices inside a water pressure booster system: water pump, pressure tank and pressure control switch. Installing a pressure tank inside a water pressure booster system can minimize on/off pump cycling and save electricity.